Marlynn Wei, M.D. & James E. Groves M.D. 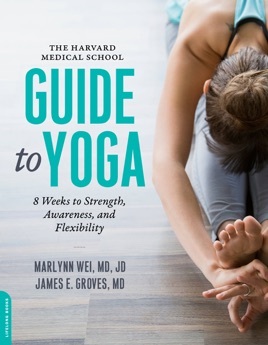 Increased flexibility and balanceGreater muscle and bone strengthImproved sleepBetter stress management and resilienceStrengthened immune systemEnriched brain healthAnd much more!Complete with illustrations, dozens of yoga breathing and meditation techniques, adaptable sequences, and principles of yoga safety, The Harvard Medical School Guide to Yoga will guide you to health and wellness.